Weeds can take over a lawn before you know it. Not only can weeds be unsightly, they can also be damaging to your grass, plants, and flowers. The trouble with weeds is they can grow quickly and are adept at growing anywhere they can get what they need. It is important to have a plan of attack when it comes to taking care of weeds. 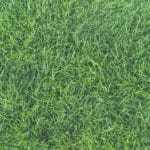 This is the most significant step because it lays the groundwork for the subsequent effort that will happen to ensure your lawn’s health and success. 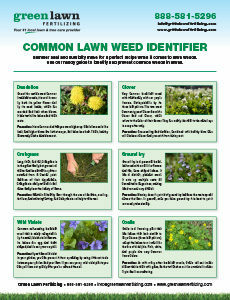 These applications are designed to help your lawn prevent weeds in a variety of ways. 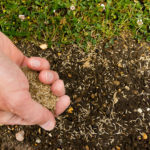 Not only are you preventing weeds from taking root in your soil – you’re also feeding your grass, thereby creating a healthier lawn that is less susceptible to damage. The fertilizer makes all grass and its roots stronger so that it can choke out weeds and make it impossible for them to flourish, while the weed control ensures that WHILE your lawn is getting stronger, no weeds can invade. Then, when you follow that up with the additional 6 services you receive with our Green Lawn Fertilizing lawn care program, your lawn will continue to remain strong while weeds stay away. 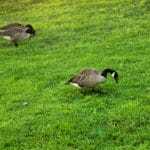 A healthy lawn is not only better at combating invasive weeds – it also has a better chance of surviving if it does come under attack. 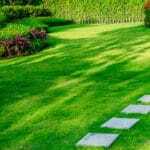 Green Lawn Fertilizing operates out of Pennsylvania, but also services Delaware and New Jersey, providing comprehensive solutions to your lawn health needs so that you can have a lawn that will withstand weed problems. We offer free consultations, so there should be nothing holding you back from giving us a call today. Our excellent customer service professionals are waiting to connect you with our lawn care state-registered lawn care technicians.